Zoom Ball Hydro provides H2-Oh so much summer fun! Hold on to one set of handles, while your friend holds the other. Open your arms quickly to send the Zoom Ball over to your friend. 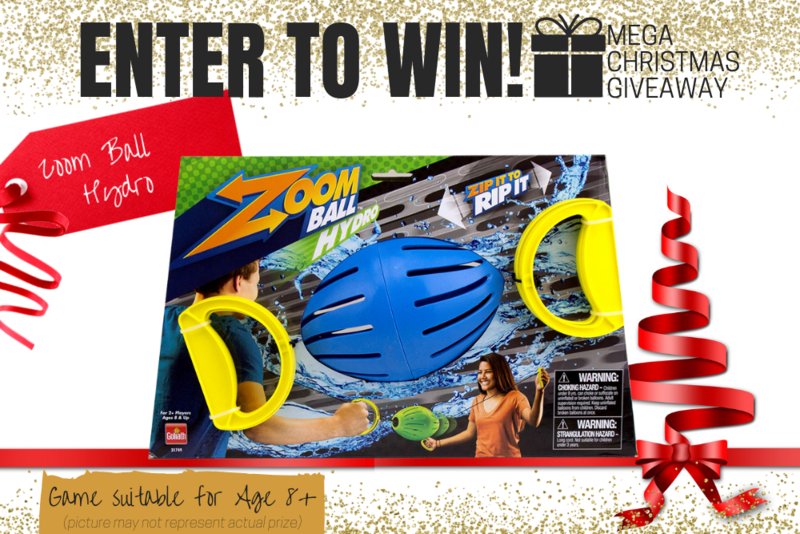 Be ready to send the Zoom Ball back – you never know when the balloons will pop and soak you in water! 1. **Zoom Ball Hydro. Total Prize Value $20.00** AUD (the "Prize"). 2. It is the responsibility of the winner to collect the Prize within 7 days of the end of the Competition Period from the Promoter’s Mornington office. 3. The Prize, or any part thereof, must be accepted as awarded and is non-negotiable, non-transferable to another person and non-convertible and is not transferable for cash. 4. The prize must be collected from the Promotors Mornington Office, unless otherwise advised.